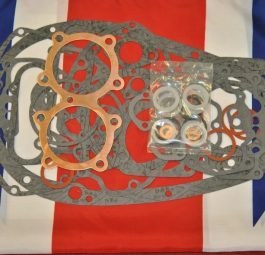 Sets supplied for all models, most include a copper head gasket. State model, year and any relevant details that effect specification, e.g.9 stud top half, later pushrod tubes etc. 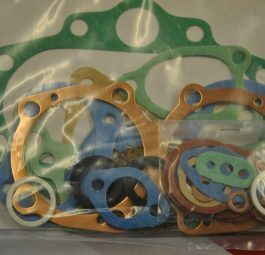 Models with external oil drain pipes and 4 rocker box gaskets,plus 3T. 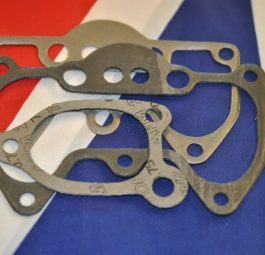 Gasket set All models with “O” rings at both ends of pushrod tube (usually post “68). 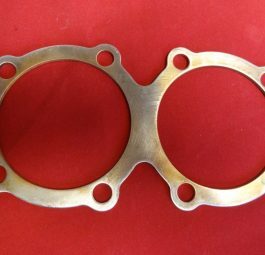 Copper head gasket, state model and year, 8 or 9 stud. 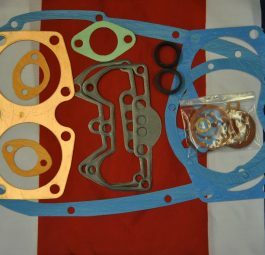 Rocker box gaskets, per R/box. Please be exact about model or enclose drawing. 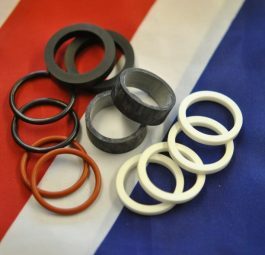 Pushrod seals, set of 4. State year and model, also whether all white, black/white or “O” ring.